This post will give you a feel for what will be happening from now until early March in regard to manufacturing in China, and the Chinese New Year schedule. 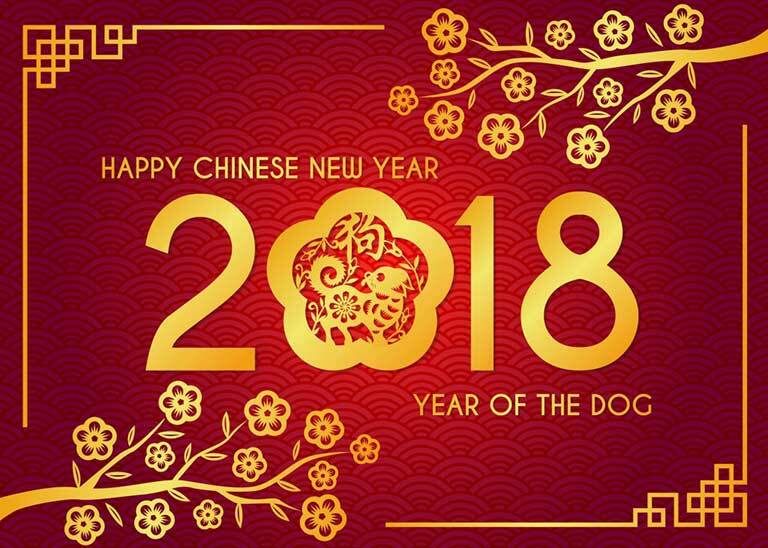 In the Chinese zodiac, 2018 is the Year of the Dog. The Chinese New Year is the biggest holiday in Asian countries, with companies taking anywhere from two to four weeks off. Chinese factories have packed production schedules in the runup to the shutdown for the holiday, which will be at the end of this month. As we get closer to February 1, it will become increasingly difficult to get new quotes as the manufacturers will be focused on getting last minute shipments out the door. By the last week of this month, the workers on the East Coast, which is where most of China’s industrial base is located, will begin their migration home to the provinces inland. Hundreds of millions of them will pack the planes, trains, and automobiles heading home, not unlike our Thanksgiving and Christmas holidays. Some factories will have little more than management left to tie up the loose ends and get final shipments on the way. Then most factories will be closed from at least February 1-15. Some will take the entire month off. As the factories start coming online, toward the end of February, their workers will trickle in. It’s not like here in Western Countries where if we give an employee a certain date to return by that they must be there. The factory’s employees can take another week or two to return (some may not come back at all) which means it can still take them until around March 5-10 before they’re back to full production capacity. While they were gone, the order pipeline will have filled up all over again and the factories will be slammed once more playing catch up. All of this means that if you need product by April or May, the time to place those orders is now. Plan extra time if you have a new product requiring new molds or tooling.